The Federal Highway Administration mandates that states collect traffic count information at specified intervals to meet the needs of the Highway Performance Monitoring System (HPMS). 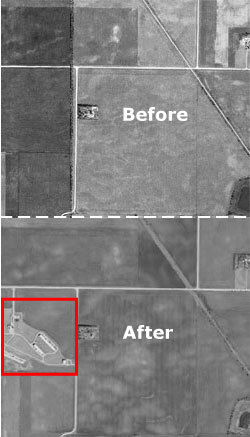 A manual land use change detection method was employed to determine the effects of land use change on traffic for Black Hawk County, Iowa, from 1994 to 2002. 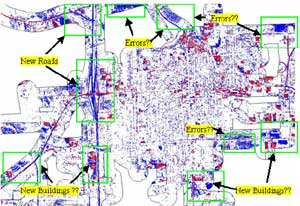 The results indicated a strong correlation and a statistically significant regression coefficient between the identification of built-up land use change areas from remote sensed data and corresponding changes in traffic patterns, expressed as vehicle miles traveled (VMT). Results enable redirecting traffic count activities and related data management resources to areas that are experiencing the greatest changes in land use and related traffic volume. Including a manual land use change detection process in the Iowa Department of Transportation?s traffic count program has the potential to improve efficiency by focusing monitoring activities in areas more likely to experience significant increase in traffic. Based on these results, the Iowa Department of Transportation (Iowa DOT) requested that CTRE expand the study area to five counties in the southwest quadrant of the state. These counties are scheduled for traffic counts in 2004, and the Iowa DOT desired the data to 1) evaluate the current methodology used to place the devices; 2) potentially influence the placement of traffic counting devices in areas of high built-up land use change; and 3) determine if opportunities exist to reduce the frequency and/or density of monitoring activity in lower trafficked rural areas of the state. This project is focused on the practical application of built-up land use change data for placement of traffic count data recording devices in five southwest Iowa counties.